When I am King, overuse of the exclamation point will be a criminal offense. Punishable by at least one day in the stocks per extra exclamation point. I believe that there may also be a correlation between morning people and extracurricular use of the exclamation point. Perhaps even coffee is the culprit. My fourth-grader has to invent something next week, maybe I will suggest anti-virus/exclamation point software that I can run occasionally to remove every extra exclamation point from my computer screen. I know, it seems a bit curmudgeonly, but there it is. Once I find something that I like, I gotta have it! I fell in LOVE with this pattern that I first saw on my friend’s bedding. I searched and searched for this pattern and for the name. I went to TJ Maxx and saw almost the exact same bedding: Moroccan! Thats it! 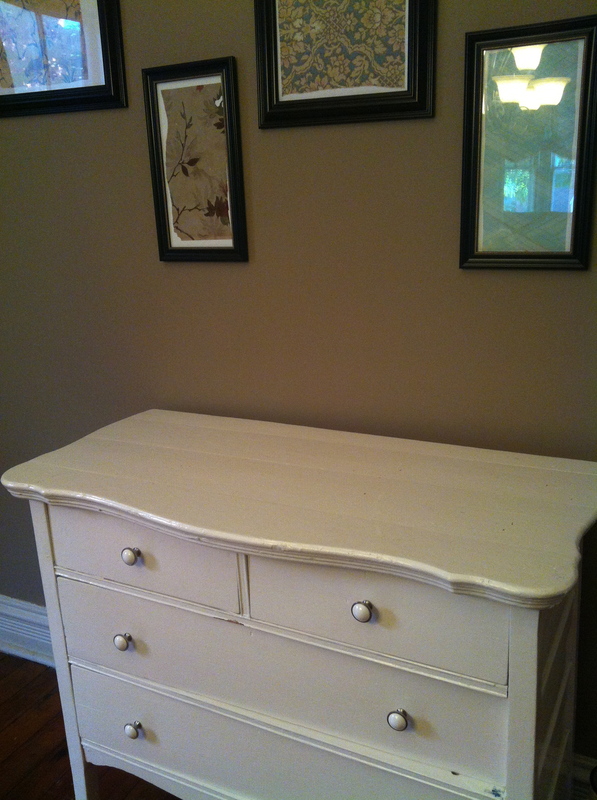 I had an old hand-me-down dresser that was originally dark blue. I painted it white and thought, “it looks too plain”. Lets go Moroccan! 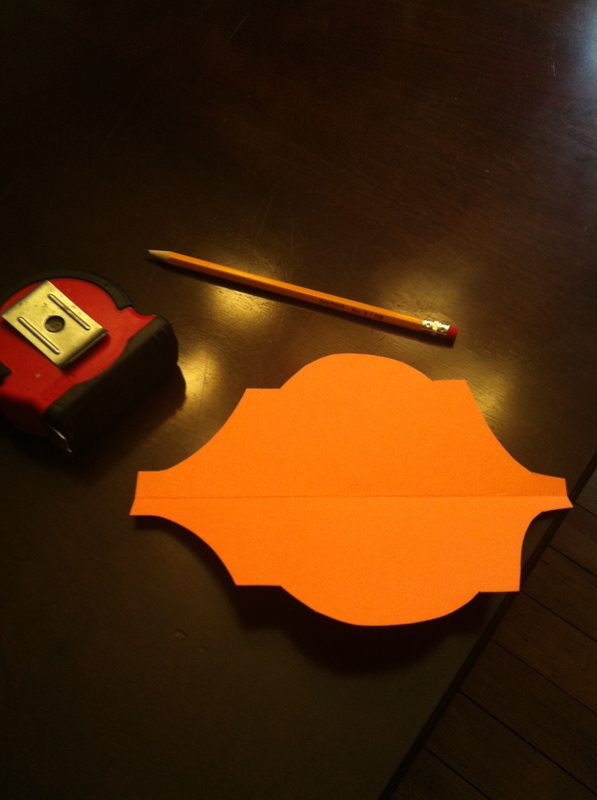 I made my own stencil out of thick card stock. 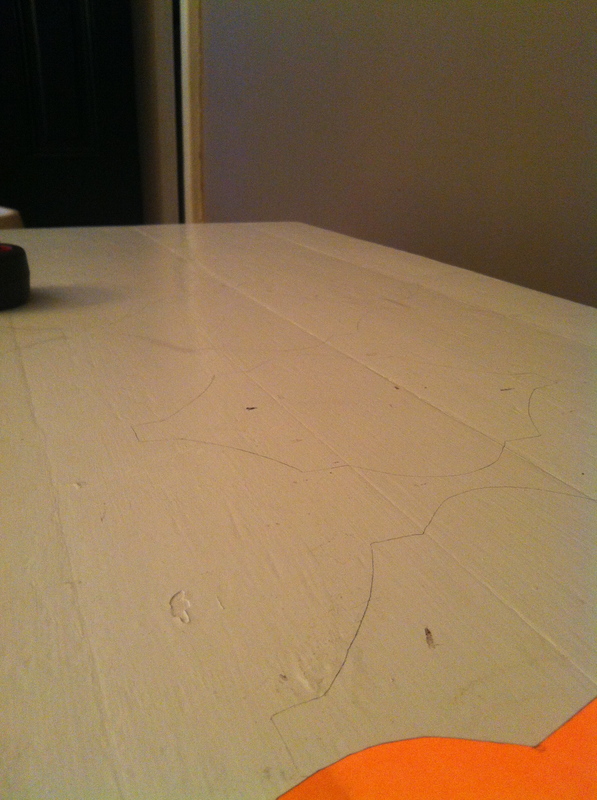 Measured the center of the dresser, and started with a pencil sketch. Next step was to begin painting! I was liking the way this was going! And Voila! I love it! 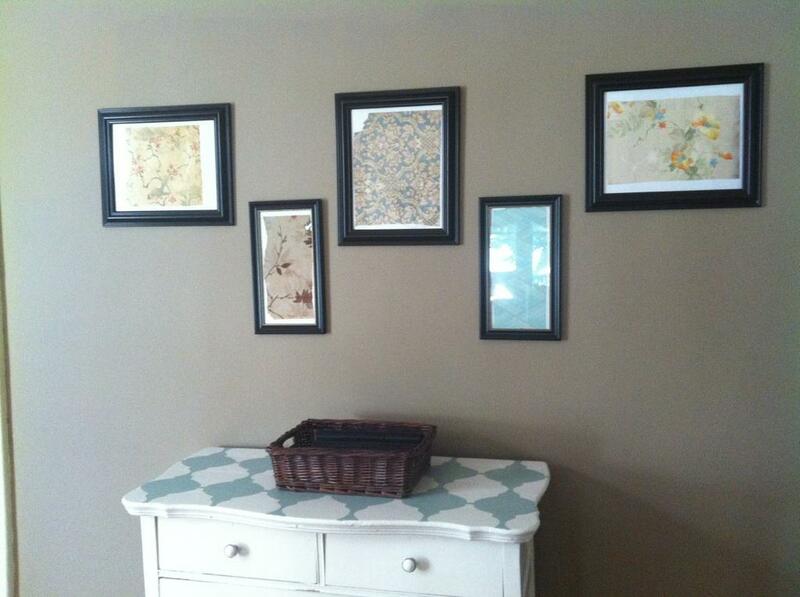 Next time I’ll tell you about the pictures above the dresser. This adventure involves the kids’ discovery of a secret passage, an old mouse-peed wallpaper book, and some bargain frames. Who knew design could be so much fun! OMG, I did Isabelle’s bedroom in moroccan stencil. Gray and purple. Love it. Send me some pics please. How pretty! 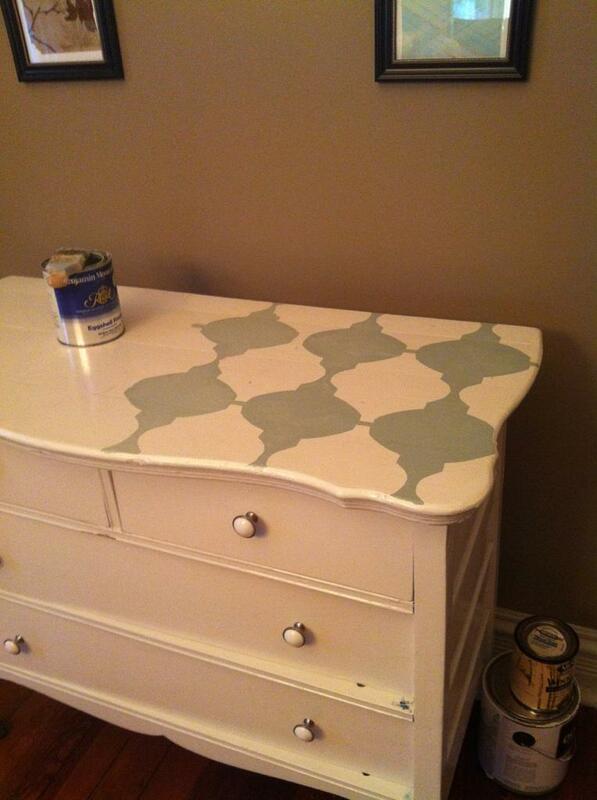 I’ve never been brave enough to paint a piece of furniture. Hmm…this gets the creative juices flowing.